Playing With Sid: How do you create an organization chart with OpenOffice.org? Few days ago one my colleague asked if I can help to make a organization chart with OpenOffice.org. 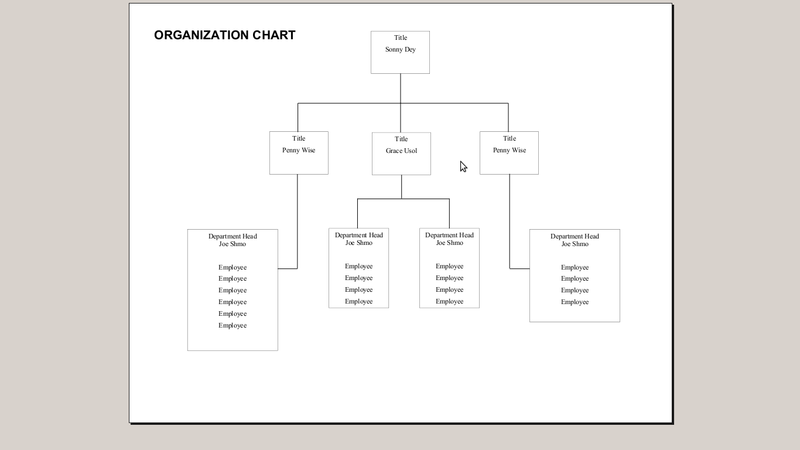 OpenOffice.org does not come with sample organization chart template. The OpenOffice.org website says it is bundled with Professional Template pack but I didn't find it in there. 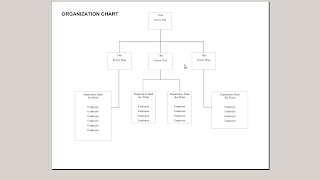 Creating organization chart is easy with the OpenOffice shape drawing tools, but it is great to have a sample template. I found an old template here. PS:Perhaps I'll add a wishlist to the new libreoffice project for this. Thank you. This was very helpful and easy. It would be far better to use boxes and connectors in the drawing toolbar. If you use proper connectors, the boxes can be moved and stay correctly linked. Hey Karren! No thanks for your tip. Quit spamming user forums and get an advertising budget.